Rev. Sawtelle reported on the work in Reno and how the commission organized them recently after examining potential members. We give thanks for God’s work in Reno. Rev. England reported on the commission’s ordination of Rev. Baars that happened late in the summer. Rev. Eshelman presented a “case of conscience” paper on the differences between believing in women elders and taking an exception to women serving as deacons. That paper was unanimously received and a committee was formed to investigate further implications. Rev. Don Piper has left the RPCNA by letter of standing from the Seattle Session. The presbytery discussed, at length, how to handle his request for his credentials to be removed from the presbytery. The candidates and credentials committee will communicate with Rev. Piper on how to proceed. Later in the meeting we prayed for Don and Boni, a couple much loved in our presbytery and denomination. Pastor Namsik was called as an associate pastor in Grand Rapids, MI. That call will be returned with some clarifying questions before he is able to accept the call. 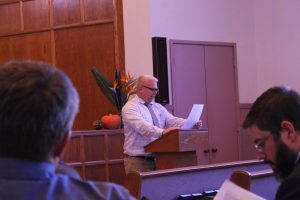 The presbytery also looked at a call from Phoenix RPC to Mr. Chris Myers, who they have called to serve as their next pastor. A judicial committee received a complaint against Rev. Maginn from Mr. S. Gangadean. That complaint will be returned to Mr. Gangadean with some reasons for returning the complaint. A three-man committee was set up to facilitate the mentoring of a new church plant in West Vancouver, BC. This is 20-some Mandarin speakers that are asking to come into the presbytery as a church plant. Rev. Tang is overseeing this committee and will make recommendations in the spring. Much time was spent talking about presbytery visitations and attempting to work out a policy for more effective church visitations from the presbytery. After some committee work on the floor, that report was sent back to the committee. Rev. Ketcham was added to that committee as Elder Pino asked to be replaced. The presbytery determined that summer conferences will be planned by a standing committee of congregants from various congregations. This will help with consistency in the experience of summer conferences. 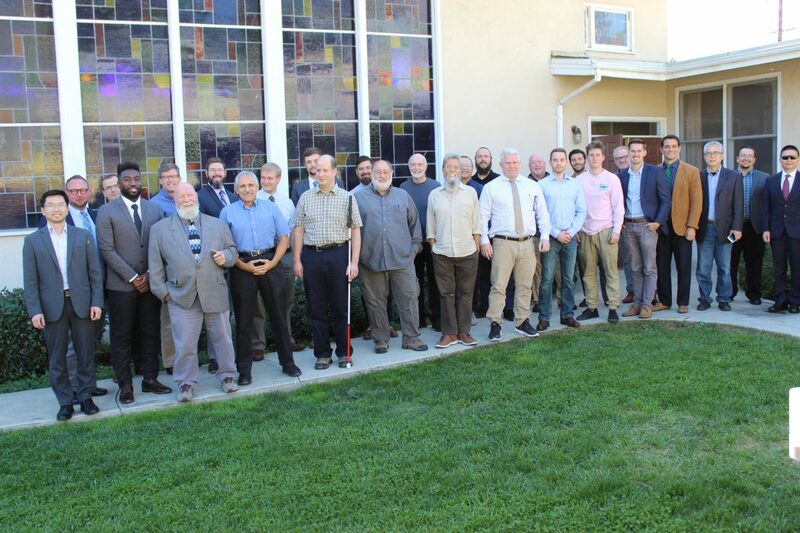 The presbytery thanks the LA RPC for their warm hospitality and especially those who cooked, housed, organized, etc. Thank you to all who served. It is a good time to be a member of the PacPres. We are very encouraged.